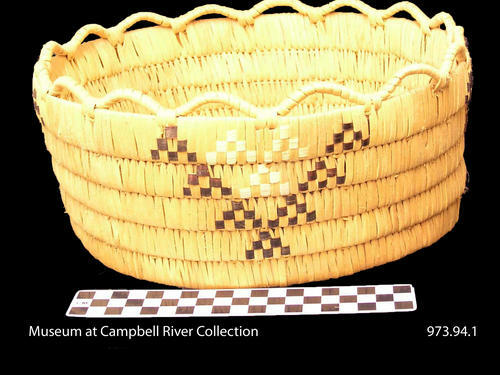 This basket was made in Katherine's later years when she was living in Squirrel Cove. Date of manufacture is believed to be around 1973. 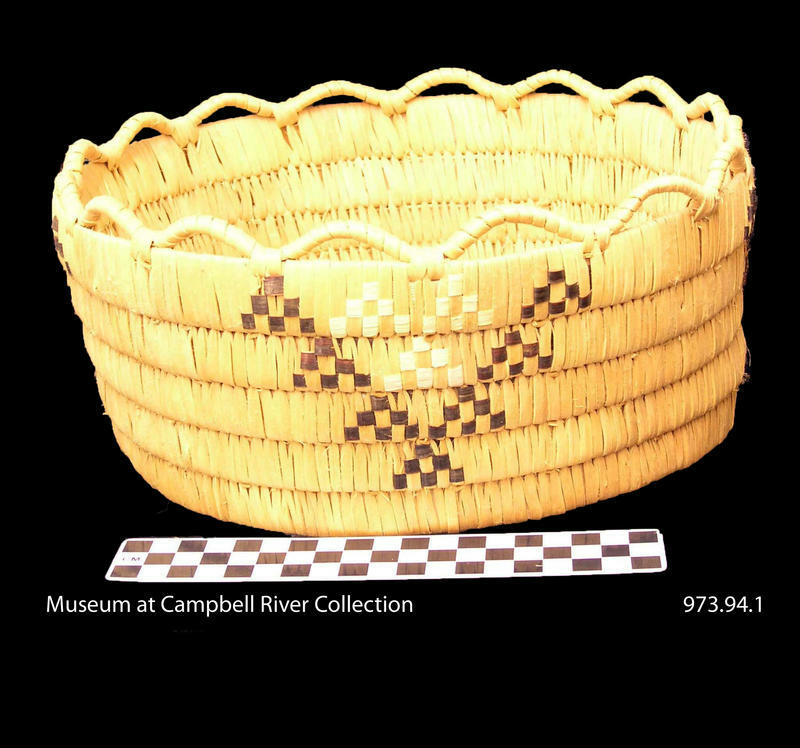 Northern Coast Salish basket. Round, slat coil construction with bundle coil loopwork around rim. Four identical beaded motif fields spaced at intervals around the wall. Basket wall is 5 slats high and slightly flared. Motifs: Large "V" shapes formed from small beaded triangles or "pyramids" made with dyed black bitter cherry bark (prunus emarginata). Three white "pyramids" fill in the V shape. 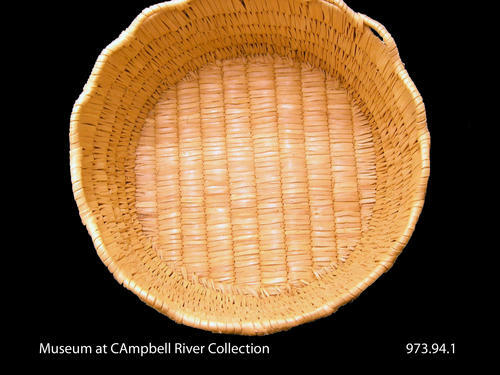 Materials: Slat core of split cedar wood; stitching of spruce or cedar root; decorative elements of bitter cherry bark and an unidentified grass or corn husk. 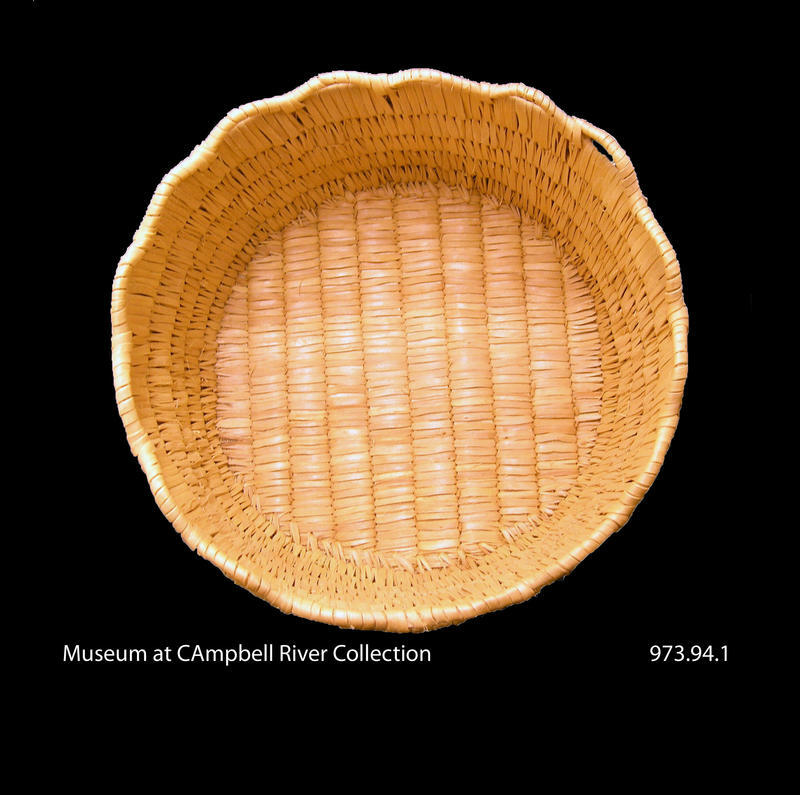 Overall Dimensions: Diametre: top - 28 cm, base - 25 cm; height: 12.3 cm.